If you are a Chromebook user with a lot of PDF files, here is a good news for you. 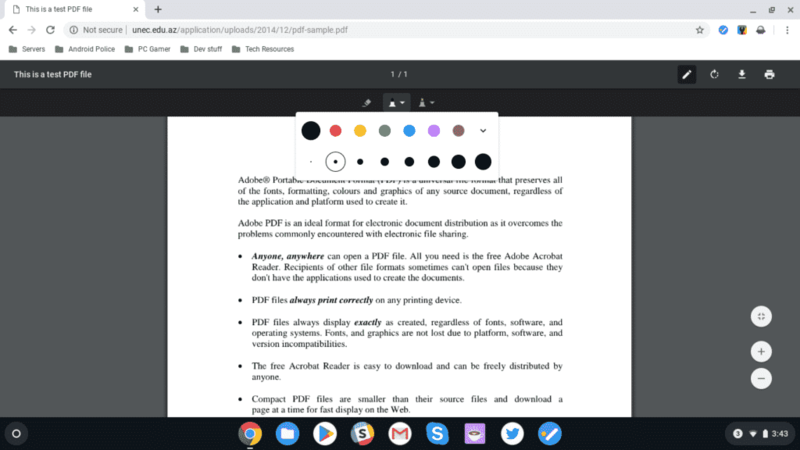 Google is adding built-in PDF annotation capabilities to Chrome OS. This is currently available only in the Dev channel or Canary version of Chrome OS, and that too behind an experimental flag. It is most likely to reach the Stable channel when Chrome OS version 74 is released. If you use the Dev channel or Canary (I wouldn’t recommend it for daily use), here is how you can enable it right away. Enable this flag, restart your Chromebook, and get started with annotating PDF files! Here is a screenshot, courtesy of r/ChromeOS (Reddit and Android Police.